The Shamrock Boulder Comp was a red point bouldering competition open to all ages and abilities held on St. Patrick's Day of 2014. We stripped and reset all of our existing boulder problems and built almost 60 new problems the day/night before the comp with routes varying from V0 to V8+. 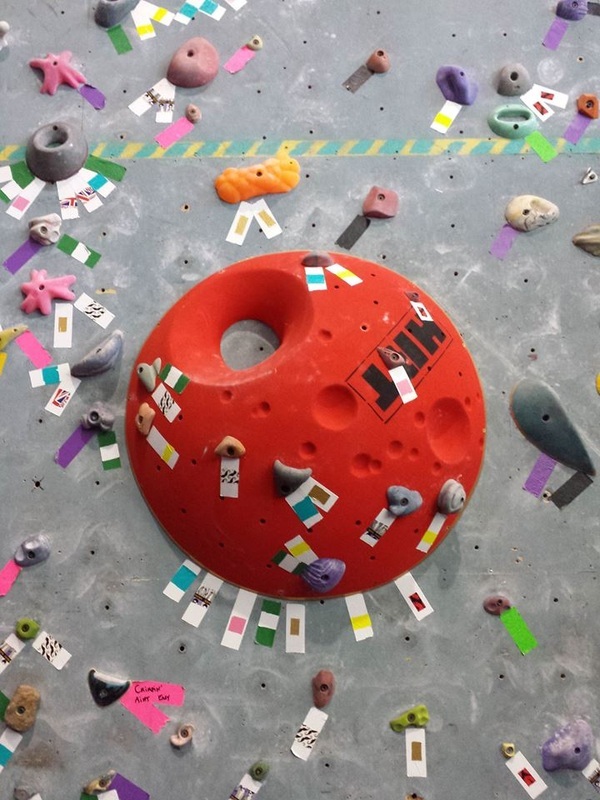 We even included our in-house "Gecko-Scale" problems into the comp to include the younger, shorter beginner climbers. We had a great turn out of 30 competitors which made the 50/50 Cash Prize winners happy. Music was pumping, and everyone climbed hard. It was a really good night. Thank you to all of you who attended! And a huge shout out to the New York Crew that make the trek across the state for the comp. Also an ENORMOUS THANKS to Dolittle Creek Natural Rock Climbing Holds and Monkey Lab Climbing Holds who provided us with some pretty sweet climbing holds to spice things up and HRT Holds for getting our new volume here in time for the comp. I am going to continue adding photos to the slideshow, so if anyone has any pictures that they would like to add to the album, please send them to me at feliciawilkins@vermontadventuretours.com.